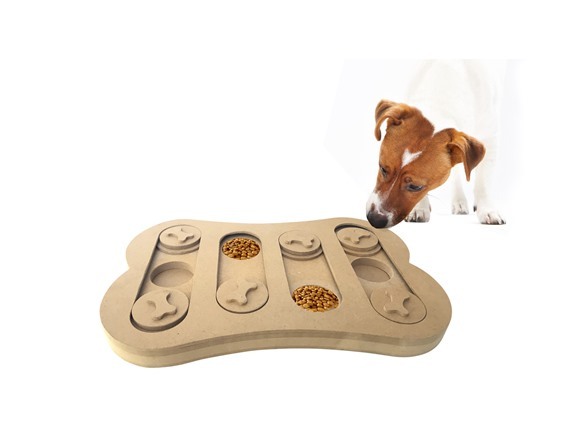 Treat Sliders Wood puzzle that provides dogs with the mental stimulation they need and also a treat reward for achievement. 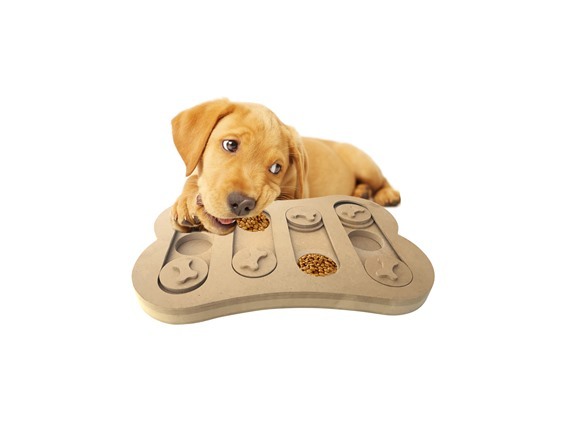 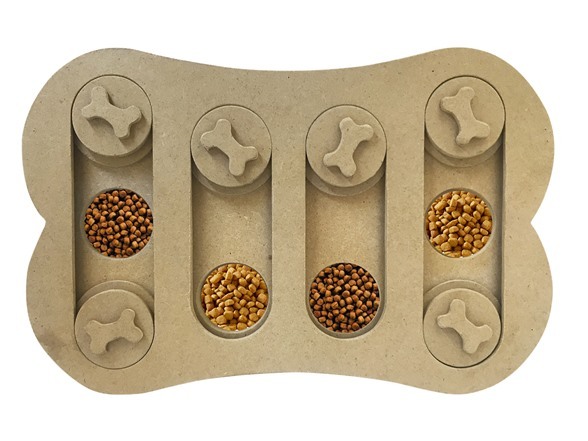 Bone shaped board has ten holes for hiding treats. 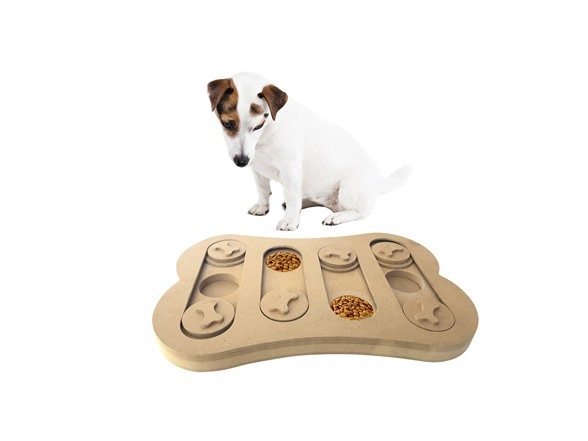 Six sliding disks challenge the dog to find the treats in the right holes.